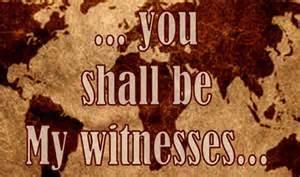 Jehovah’s Witnesses took their name after successfully providing evidence for the prosecution in the landmark trial of Jehovah vs. Jehovah. Legal history was made when the court awarded Jehovah (the Father) custody rights over Jehovah (The Son). In so doing it dismissed the claims of Jehovah (The Holy Ghost), partly on the grounds that her/his evidence was immaterial and her/his case lacked all substance, but mainly because she/he was invisible and thus it was unsafe in law for the court to even presume her/his presence in the witness box. Summing up, the judge said that she had never seen anything like it. Jehovah’s Witnesses meanwhile, having gained a taste for court-room drama, now go around hurling wild accusations at the drop of a mitre. In Avalonia for instance, a local raconteur and part-time spiv was accused by one such Witness of being a Satanist on the grounds that he has a black cat called Lucifer. His case comes up next February.